Montana's dispensaries are coming back to life, Michigan's medical marijuana fees have been funding aggressive anti-marijuana law enforcement, and more. On Monday, members of the state's new medical marijuana commission were sworn in. In the first meeting of a commission established to create a state medical marijuana system after voters approved a constitutional amendment last month, five commissioners were sworn in. The members of the state Medical Marijuana Commission are Dr. Ronda Henry-Tillman of Little Rock, lobbyist James Miller of Bryant, Dr. Carlos Roman of Little Rock, pharmacy executive Stephen Carroll of Benton and attorney Travis Story of Fayetteville. Henry-Tillman was unanimously elected Monday afternoon as the commission's chairman. 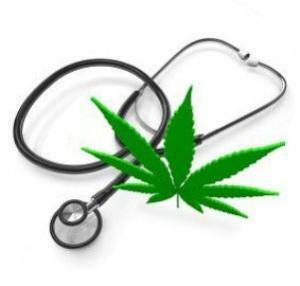 On Tuesday, a medical marijuana bill was filed. State Sen. Perry Clark (D-Louisville) has filed the Cannabis Compassion Act of 2017 (BR 409), which would allow patients with a specified list of diseases and medical conditions access to their medicine. The bill would allow patients to possess up to three ounces and grow up to 12 plants and envisions a system of regulated cultivators and "compassion centers. On Tuesday, news came that medical marijuana fees are funding the state's war on drugs.Medical marijuana fees have fattened the Michigan Medical Marijuana Fund, and state law enforcement has been tapping into that fund to aggressively go after marijuana. Local sheriffs in the Detroit area have spent more than $600,000 raiding dispensaries in the past year, and there's more where that came from since the fund has raised $30 million. "I really don't think it's appropriate to fund law enforcement on the backs of medical marijuana patients," medical marijuana attorney Matt Abel told the Detroit News. "… It's really a hidden tax on patients." Last Wednesday, a state judge cleared dispensaries to reopen. A district court judge in Helena has ruled that a wording error in last month's successful medical marijuana initiative should not keep sick patients from having access to the plant now. The initiative undid a 2011 law that largely undid the original 2004 initiative allowing medical marijuana, but late changes to the initiative resulted in new sections being added, which in turn resulted in a change in section numbering that unintentionally pushed back the date dispensaries could open. "The folks that are maybe the most in need are the least able to provide, to grow their own," the judge said in making his ruling. "I think speed is more important than niceties."